- Parade of the Three Kings, January 5. The Three Kings disembark at noon at the marina from where takes place in the afternoon a parade through the main streets of Benalmadena Costa, Benalmadena Pueblo and Arroyo de la Miel, delivering tons of candy among hundreds of children who come each year with their families to this long-awaited appointment. - St. Valentine day is the perfect excuse to plan a romantic getaway to Benalmadena, you can book a special dinner for that night as there use to be romantic deals that day. - Carnival in Benalmadena is celebrated during 10 days with parades, masquerades and competitions. In 2019 it will be celebrated from the 1st to the 10th of March with costume contests and a big parade. - Easter: There are processions in Benalmádena Pueblo and Arroyo de la Miel during the Holy Week, among which is outstanding the Virgen de la Soledad on Friday night that takes place in complete silence. Another outstanding event is the staging of the Passion of Christ "El Paso" in the hills of Benalmádena, where residents of the municipality become actors for one day. - St. Patricks day in Benalmadena: Celebrated worldwide by irland people this event use to be held near Paloma Park. Wearing green clothes is a must, dancing is optional. The official date is the 19th & 20th in March. 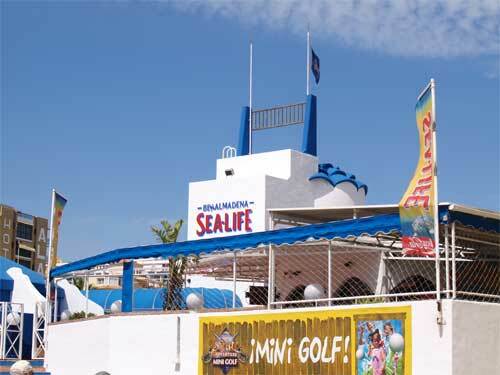 - Seafood fair in Puerto Marina is a food fair usually celebrated yearly between March and April. In 2017 it was from 28th of April to 1st of May. - Corpus Christi. 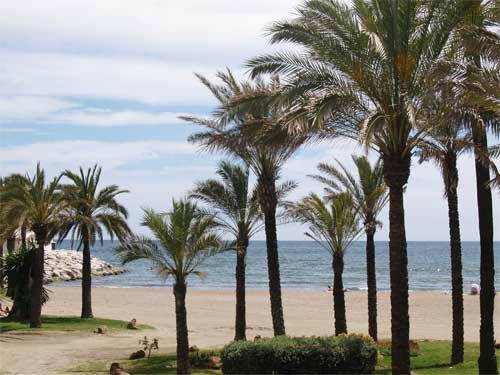 This festival with variable date in Benalmádena Pueblo takes on a particularly beautiful atmosphere. The neighbors decorate the balconies and adorn the main streets of town with carpets of fresh flowers and herbs, where later passes by the procession. - Romería de San Juan, third Sunday of June. The pilgrimage sets out with their adorned wagons and horses from the district of San Juan de Arroyo de la Miel to Benamaina South. - San Juan, June, 23/24. Bonfires are lit on all the beaches of Benalmádena, where entire families gather and friends are celebrating until dawn. In Arroyo de la Miel are burned "juas", paper dolls made from old rags. Next to the Bil-Bil castle there are usually concerts and fireworks at midnight. - San Juan Fair in Arroyo de la Miel, from June 24 to 29. These are the festivals in honor of the patron saint, with fun, music, dance, music and popular events that attract large numbers of locals and foreigners. The day fair takes place in the Plaza de la Mezquita and the night fair takes place at the fairgrounds. - Fiestas del Carmen, July 16. This festival honoring the patron saint of fishermen is held in all municipalities of the Costa del Sol. The sailors carry the Virgin on a ship into the sea, accompanied by dozens of boats, to bless the waters and at night there are fireworks. - From July 1 to September 6 takes place the Summer Festival in Benalmadena, where we can enjoy an extensive program with theatre, music and summer cinema for all audiences at the Auditorio Municipal Parque de la Paloma. - The Fiesta de la Virgen de la Cruz, around August 15 in Benalmadena Pueblo, begins with a breakfast of sweets handed out by the women of the community Virgen de la Cruz, followed by a party for the children, dancing, singing and free food for attendees. 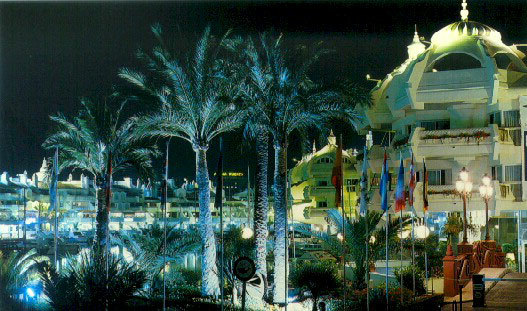 - Arabian Souk, around the second weekend of September in Benalmadena Pueblo. In the vicinity of the Calle Real is taking place a large Arab market with tents, setting, Arabic music, crafts, workshops, storytelling, dance, theater, games for all ages from 7 pm to 1 am. Tourist Day, variable dated, which pays homage to the foreigners who have visited the city over the years, with food, music and cultural performances. - Fried fish fair, around the second weekend of October during which are distributed rations of fish and seafood as well as drinks at very affordable prices. - 12 October is Columbus day also called 'día del Pilar' or 'día de la Hispanidad (Spanish Heritage Day)' is a Spanish national holiday with events and activities at Plaza de España in Arroyo de la Miel. 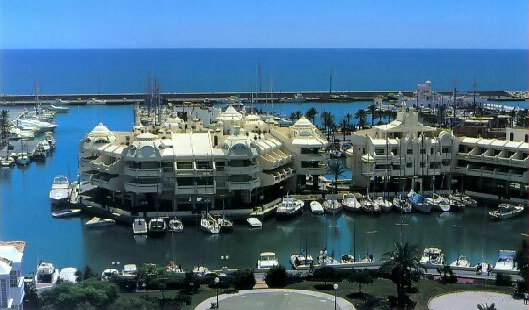 - Halloween, October 31 is celebrated in Benalmadena with parades, costumes and games and a magic show. 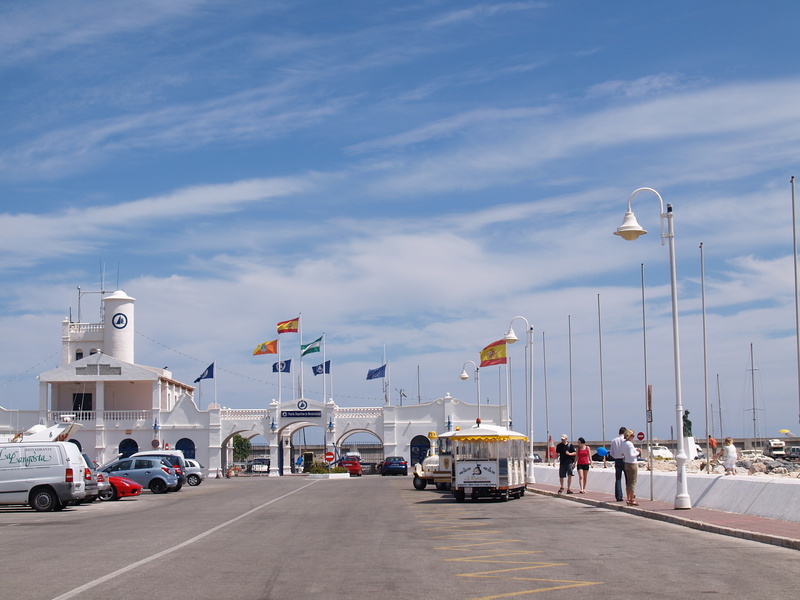 - Christmas Fair from December 6 to January 5 in Benalmadena Costa. 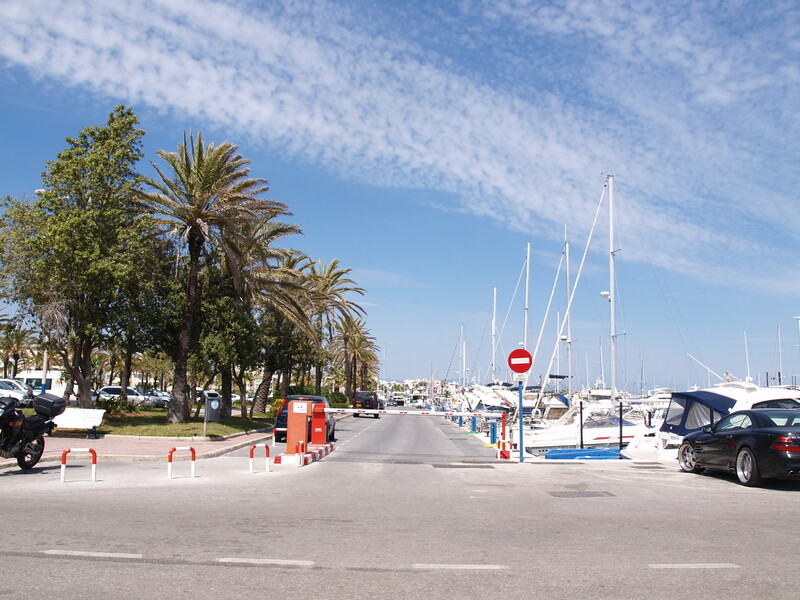 At the entrance of Puerto Marina are installed between 11 am and 8 pm all kinds of attractions, including cribs, bouncy castle, table games, face painting, Clowns, giant air bubbles, Children's Cinema, storytelling, magic and theatre.